Education is essentially a transaction. 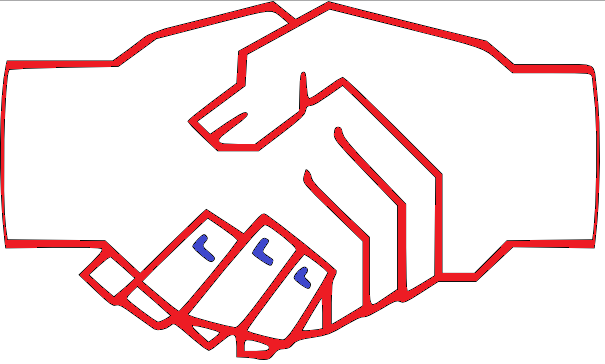 Yet, there are many kinds of transaction. Consider, for instance, the transaction between a diner and a waitress about a potential tip. This is a master-servant transaction; the waitress begs for favour and the diner holds the power. If the tip is unsatisfactory to the waitress then all that she can do is express her dissatisfaction through her behaviours. If that diner calls again then perhaps the waitress will perform her role less effectively than before. The power dynamic has the potential to set up a negative spiral of decline that actually encourages the waitress to perform worse. Now, consider the example of two nomadic tribesmen bartering over a goat. Traditional, nomadic societies are more egalitarian and democratic and so we are effectively considering a transaction between equals. If these noble men cannot agree a suitable trade then no trade will take place. They are equal partners. The concept of insisting on Making Learners Extraordinary™ is not a concept of imperatives and commands. In order for rich, authentic and deep learning to occur the students absolutely must be engaged in every aspect of the learning from the outset! Rather than seeing the role of the student as that of responding on cue with lists of facts that have been defined to be of value by the ‘expert’ teacher, we should see students as fundamental to the creation of learning. Students will then develop the skills that they need for the 21st century in a context that is relevant to them. I am in New Zealand on one of my regular trips to offer guidance and support to schools that work closely with the Extraordinary Learning Foundation™. Jason understands the nature of enriching educational transactions. He realises that deep understanding can only be constructed though a relationship between equals. “We had to do a lot of work with the administration team at the start,” Says Jason. “Deep learning doesn’t show up on simple tests of factual knowledge and so part of our problem was how to assess the students when the students are feeding into the curriculum”. That’s where we offered our expertise. Clearly, if students were selecting authentic contexts relative to their own needs then testing information recall would entirely miss the point. For a start, what information would we want them to recall and why, given that the answer to virtually any question is now accessible 24-7 to anyone with a mobile phone! Every educator has heard of Lev Vygotsky and his ideas about social learning and the zone of proximal development. However, few have heard about his compatriot and near contemporary, Dmitri Tsiolkovsky (1900-1941). Drawing on behaviorist theories, Tsiolkovsky’s insight was that this was effectively a chain of stimulus-and-response. The stimulus for precognition would often be auditory e.g. the subject was listening to someone else and this stimulated the precognition response. Tsiolkovsky further reasoned that a subject’s own verbalisation could also supply this stimulus, creating a closed loop of stimulus and response and that this could be utilised by army instructors (the Institute mainly sought military applications). However, Tsiolkovsky fell out of favour with the Soviet authorities after his death – his ideas began to be viewed as in opposition to collectivism – and so much of his thinking was never put into practice. Drawing on the work of Tsiolkovsky, Dale Romario and other verbalisation theorists who brought Tsiolkovsky’s work to prominence in the West, The Extraordinary Learning Foundation™ has developed the principle of Talk-it-out™: an archimedian lever for leveraging huge gains in thinking in the classroom. 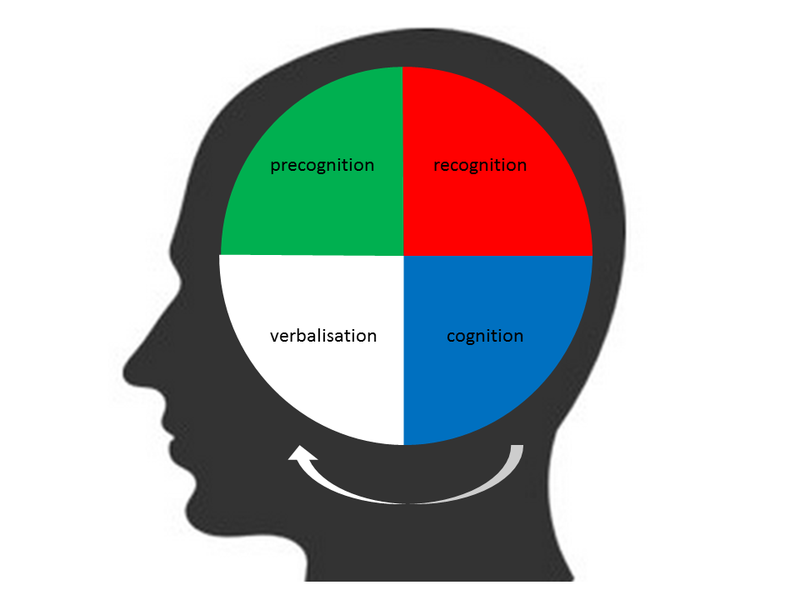 Cognition is pictured as a self-reinforcing cycle as thought passes through each of the four stages on its journey into manifest verbalisation. Though seemingly complex, the practical implications are surprisingly simple. Rather than attempting to fill students brains as if they were empty vessels, we can use this cycle to release the learning ability of the individual. Rather than endless teacher talk, it requires stimulating student talk; talk that will reinforce and crystalise the innate abilities of the learner in a developmentally appropriate way. Whereas traditional approaches are akin to watering and feeding plants in a greenhouse without windows, the technique of Talk-it-out™ enables the learning to grow in the natural light of day. Since the first steps in implementing the approach, we have learnt a great deal here at the Extraordinary Learning Foundation™. Initially, we believed that the focus should be on as much student talk as possible without focusing too much on the content of this talk. The main role of this talk, we reasoned, was as a stimulus. However, pilot studies did suggest that some talk was more effective at stimulating thinking. We therefore decided to avoid the use of nonsense words altogether and focus more on words associated with the context that we wanted the students to think about. We found that a variation of free-association provided a good balance between being overly prescriptive and still allowing students’ creativity to flourish. When was the last time that you thought about thinking? For most of us, thinking is something that we “just do”. It is a passive response to outside stimuli that is unregulated and that we are not conscious of. That’s why, at the Extraordinary Learning Foundation™, we call this ‘Passive Thinking’. Passive thinking is everywhere. Some teachers even think that passive thinking is a aim of education; just imagine all those drill-and-kill arithmetic exercises. Nothing could be more passive! But what if you could be more active in your thinking? Even better, what if you could actively monitor your thinking so that you are always deploying the best type of thinking to the problem available, rather than the haphazard thinking of chance? In a world of digital natives and emergent technologies, the careers of the future will be built around thinking. Surely, it is time that we concentrated more on the donut and not the hole. Here, at the Extraordinary Learning Foundation™ we have developed a visual to help us visualise the different depths of thinking; The Ladder of Thinking™. 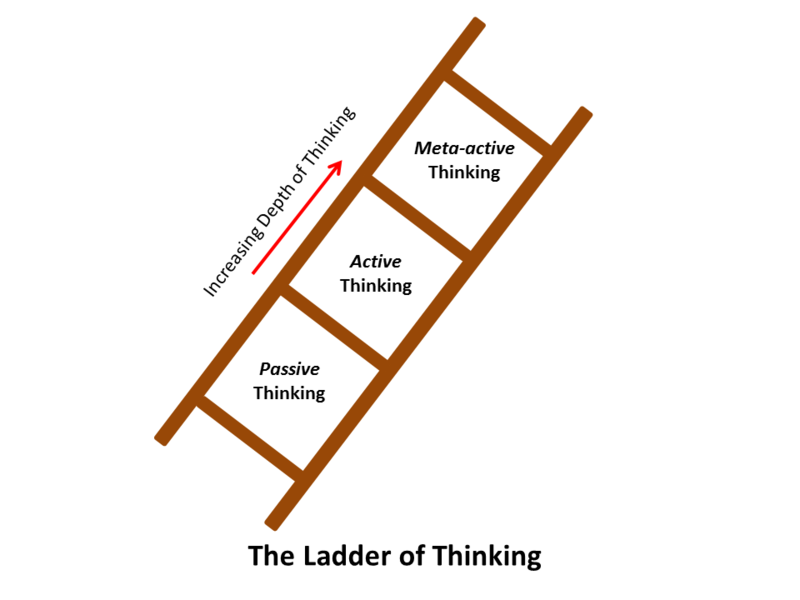 The higher you proceed along The Ladder of Thinking™, the deeper the thinking. We have found this to be a powerful visualisation for teacher and students alike. Fleur McCurdy is a grade 7 language arts teacher at Principia P-8 School in Maine. Fleur has been working with us at the Extraordinary Learning Foundation for the last three years and has taken a particular interest in thinking. I recently visited Principia and had the pleasure of sitting-in on one of Fleur’s classes to see how this learning looks in practice. The students start reading and thinking. They also have the opportunity to talk-it-out™ with their arm-buddies. The buzz in the room is inspiring. Michelle, a slight student with vital, darting eyes, has been given the question, “If you were a knight in medieval France, how many horses would you need?” Towards the end of the class, Fleur asks Michelle to share her thinking with everybody. “So?” Asks Fleur, as she makes a little gesture with her hands that the students understand as representing ‘next steps’. “Excellent!” Beams Fleur then she turns to the rest of the class and says, “Let’s affirm that thinking!” The students clap and cheer to show their support. The atmosphere is electric. Toriah was not alone in finding that the skill of observation was not fully developed in some of the Champstown student body. After connecting with colleagues across the faculties, they discovered that they had a common problem. “Students were just not seeing,” As Toriah put it. That is when we began our work together. I quickly brought Toriah to the realisation that it wasn’t a case that the students were not seeing. After all, they were not walking around and bumping into walls. The problem was more that students were only seeing at a surface level. They could observe what was on the surface but they could not see beyond that. They were unable to observe deeply. 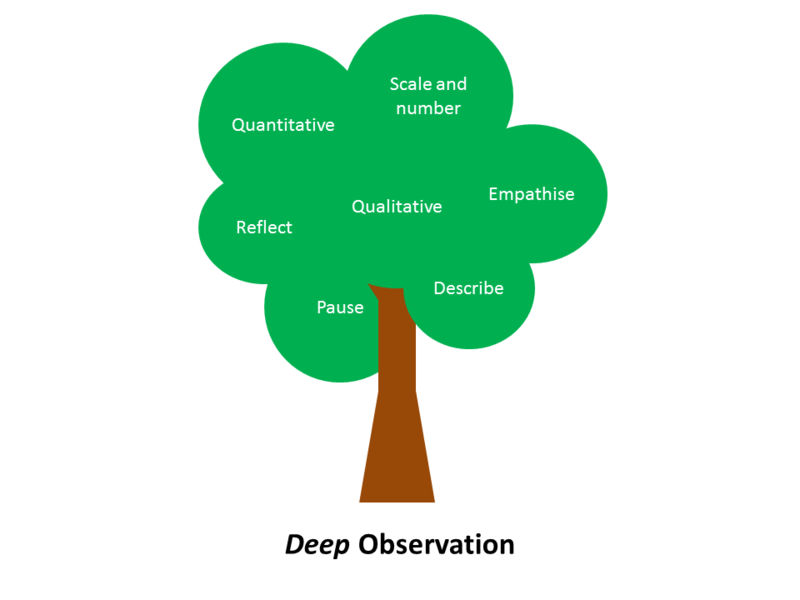 The skill of observation is one that is utilised in areas as diverse as chemistry, the visual arts and the media. It is a critical skill that 21st century learners need and that will be essential for performance in 21st century jobs. Yet, how much of our time is devoted to developing such a critical skill? I was working recently in my consultancy role, advising schools in Moldova on the work we have been doing here at the Extraordinary Learning Foundation™. One question that kept coming-up, time and again was, “But Tait, what does it really mean to Make Learners Extraordinary?” This, of course, is a profound question; a deep question, not a surface question. It is the sort of question that, in itself, indicates one of the key facets of Making Learners Extraordinary ™ and I felt so proud to be asked it. So I decided to start this blog – a stream of consciousness about the process of nurturing, encouraging and releasing the natural talents of the world’s learners. I decided to start this blog so that others may learn from me and set out on their own journey towards Extraordinary Learning. May I be your guide! At the Extraordinary Learning Foundation™ we believe that all children can learn; that every unique individual is unique and individual and has Extraordinary potential. Often, this potential is untapped. The rigours of our production-line education system stamp the Extraordinary Individuality™ out of our children, die-casting them like shrink wrap. This loss of individuality leads to a measurable loss of creativity. Yet, like Pandora’s box, all that is required to set Extraordinary Individuality™ free is to find the right key. Over the next weeks and months I will be expanding on the Five Keys ™ that we at the Extraordinary Learning Foundation™ believe will unlock the potential of every child in every class. These extensively researched principles will enable you to deliver on that promise that you made yourself when you first started out as an educator; that promise to do your small bit to help children learn and change the world! They are based upon sound science; such as the cognitively developed process of talk-it-out to promote active rather than passive thinking. However, today I would like to start with the foundational principle; the reason why we learn. 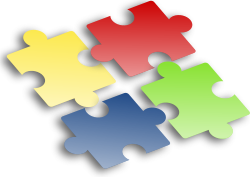 The motivation of all learners ultimately comes down to the Power of the Puzzle™. Without a sense of wonder we have nothing. Without a wish to know the stars, we cannot even see the stars. And so this is Principle One. The key to any good puzzle is in its authenticity. Real puzzles come from real questions based upon real-life everyday problems. There is nothing more motivating to students than to consider problems rooted in their everyday reality. So this is where we start; we start with the everyday reality and we make it extraordinary. And this is where you come in. Come on guys! You know where the community vegetable garden is and you can make contact with the communities and groups with authentic, everyday problems to solve that will engage and motivate your learners. Children can handle the complexity of real life; they live in the real world! Cut those guide-ropes. The textbooks break things down into automated chunks to be delivered by the production line. Real life is not like that! Real mathematicians have real problems to solve. Real historians have to dig for history with their own fingernails. And there are real professionals who understand this; professionals like Tracy Mee who I had the pleasure to meet just the other week when I was consulting in Alberta. Tracy was so open to Making Learners Extraordinary™. She is such a vital force and a pleasure to work with! After 3 hours straight of working together, it was with a sense of immense pride that I looked upon her as she stood at the front of her grade 8 science class, holding a wet rubber glove and posing the question, “what could we do with this?” And then to see reflected in the children’s faces; every educator’s dream moment; that look of utter puzzlement.